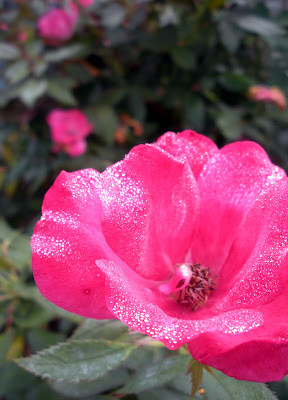 A few mornings ago, I stepped out the door fairly early to run an errand and a glimmer caught my eye. I could have let it go and hurried on my way, but I wanted to make sure I didn't miss the sparkle that existed in that moment. As I paced around on my front walk snapping pictures, I could already see the dewdrops beginning to meld with one another. The moment was already starting to slip away from me. Yesterday, I lost a very special friend and a sister (of sorts). She was a shining example of love, faith, kindness, and so much more. I have no words. My heart aches not just for myself but for the family she leaves behind. Don't let those moments that sparkle fade away without taking the time to appreciate them and don't let the shining stars in your life become just a twinkle of a memory. Take the time to revel their light and hold it close to you forever. I know I will. 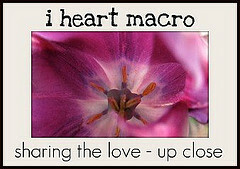 I'm linking this up to I Heart Macro Sunday at Studio Waterstone. I may reflect on this more later, but right now I'm still in a state. I know she would appreciate your prayers of comfort for her husband, three children, and the rest of her family. No comments are necessary. 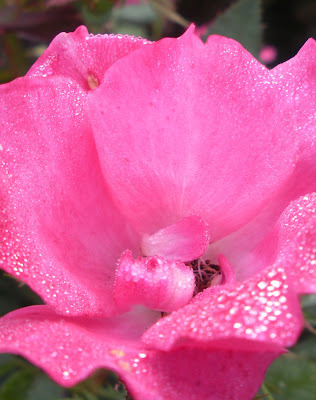 The dew drops are gorgeous, I love how they sparkle. CoffeeAddict- I do appreciate your kindness. Thank you.